Did you lose money investing in ARC New York City REIT? The securities attorneys at The White Law Group may be able to help you recover your losses by filing a FINRA Arbitration claim against the brokerage firm that sold you the investment. 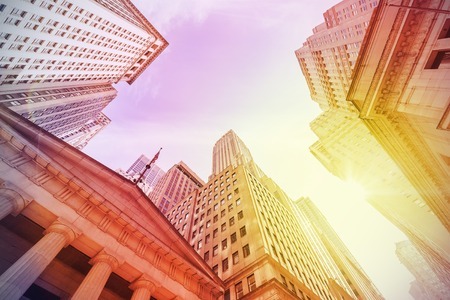 As we previously told you, ARC New York City REIT held its annual meeting of stockholders last week and elected all four director nominees and ratified the appointment of KPMG as the REIT’s independent registered accounting firm. The meeting was adjourned to solicit additional votes on proposed charter amendments and will be reconvened on September 7, 2017, according to SEC filings. Cove Partners III LLC, an entity owned by American Realty Capital New York City REIT stockholders Michael Ashner and John Alba, have filed a preliminary proxy statement urging fellow investors to vote against nine proposed charter amendments at the company’s repeatedly reconvened annual meeting of shareholders. “Unfortunately, these actions are not surprising to stockholders. The company likewise continuously adjourned the 2016 annual meeting to try and obtain approval of nearly the same charter amendments,” Alba and Asher added. The proposed charter amendments include extending the agreement with the advisor for an indefinite period of time, rather than limiting it to one-year renewals, and ending the fiduciary obligation of the board to shareholders, including the specific fiduciary duty to supervise the relationship with the company’s advisor. The REIT is also attempting to prevent the advisory agreement from being terminated on 60 days’ written notice, limiting shareholder access to the company’s books and records, allowing the board to privately sell shares, eliminating the ability of 10 percent of shareholders to call a special meeting and giving the board authority to increase this threshold by 5x, and eliminating the current shareholder majority voting requirement before the board can take certain actions. The company also wants to eliminate the majority independent director requirement, as well as the requirement that independent directors have prior real estate experience. Non-traded REITS, compared to traditional investments, such as stocks, bonds and mutual funds, are considerably more complex and involve a high degree of risk. Unfortunately many investors were not made adequately aware of the risks and liquidity problems associated with REITs. If you have suffered losses investing in ARC New York City REIT at the recommendation of your broker and would like to speak to a securities attorney about the potential to recover your losses, please call The White Law Group at 1-888-637-5510 for a free consultation.